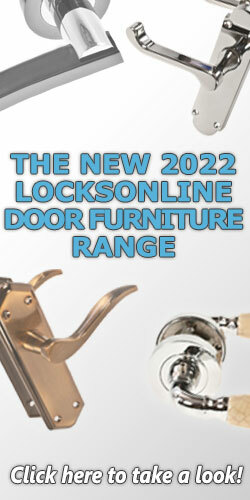 Our LocksOnline EPS cylinders are hand built here at LocksOnline for the exacting needs of the customers requirements. Because each cylinder is made to order we can easily key them alike or master key them whilst we are pinning them up and this is why we DO NOT CHARGE any extra to have them pinned differently. Please be aware that because these are custom built to your specifications, we are unable to accept the return of these items for a refund. However we are able make alterations to pinning arrangements or incorrect sizing etc if required, this may incur a workshop fee but does allow for correction of incorrect specification at the time of ordering. 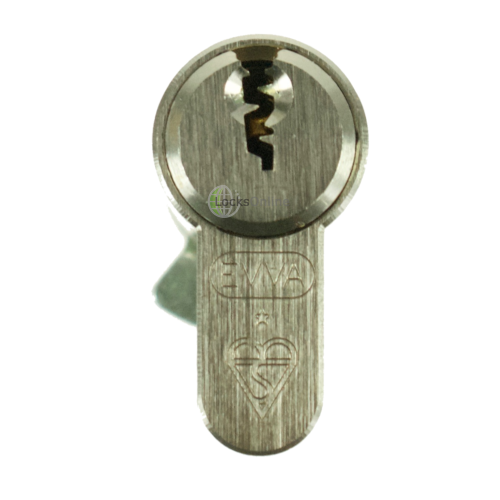 The Cylinders are patent protected which means that copies of the keys are not available in a heal bar or other locksmiths. We effectively control the keys here and every cylinder that is made has a key number that is registered to you as the owner. 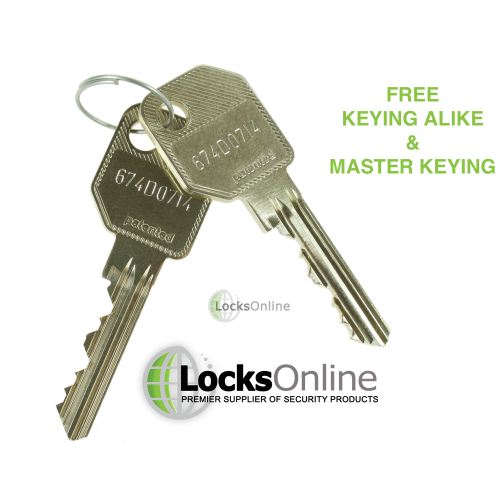 We then in turn will only allow extra keys to be ordered and delivered to the address that the keys and cylinder were first made for, unless specific authorisation has been granted to us by the owner. *With cylinder-snapping being such a concern for many these days, you can rest assured that because of the way we build these cylinders with a steel core connecting rod, these cylinders will not snap easily like a standard cylinder. It makes perfect sense that if you are carrying a bunch of keys around with you then why nit have the locks all keyed alike. 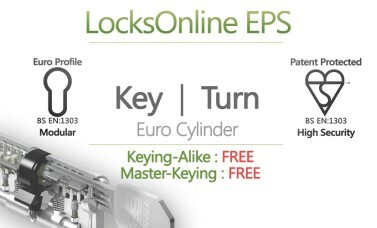 The LocksOnline EPS Security Cylinders can all be keyed alike to each other. So it does not matter if you have a rim cylinder on the front door and plastic door on the back door, Patio doors, garage etc; we can in principle have them all working on the same key. 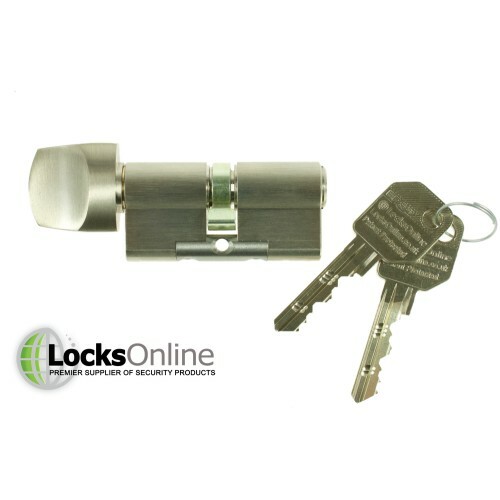 We offer a range of padlocks also that can be keyed to our unique security cylinders. 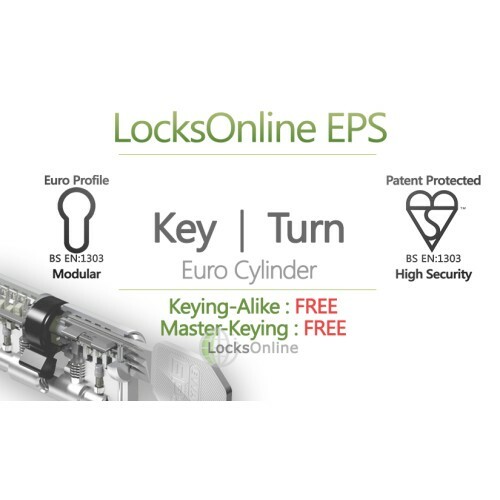 Our Cylinders can also be master keyed and again these are hand-built for your application and you can add to your master key system at any time you need to. 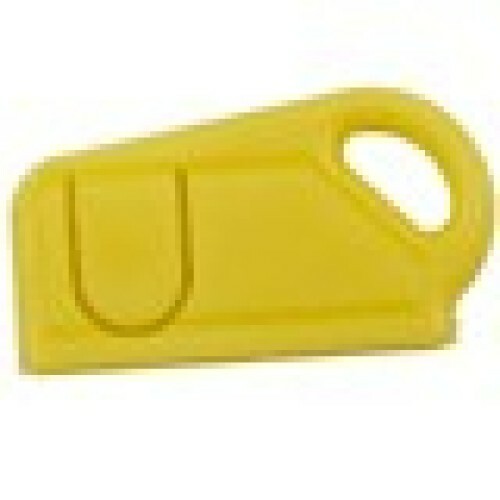 Also, as each cylinder and key is made for you, if you ever loose your keys we will have a record of what your key is. 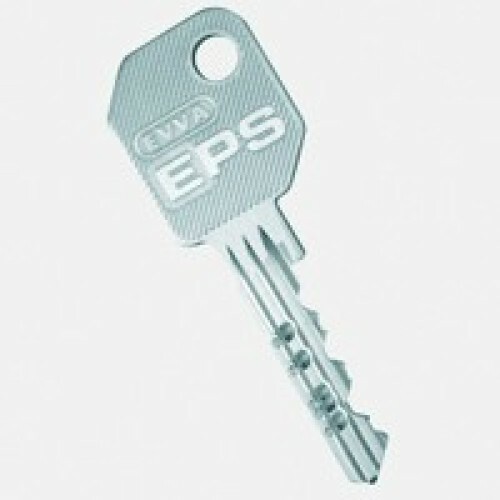 Also we can add extra cylinders to your key number anytime you need to. And last but not least, we offer a lifetime warranty from mechanical failure of the cylinder (exceptions apply). so if a part breaks through normal use you can send the cylinder back to us for repair. 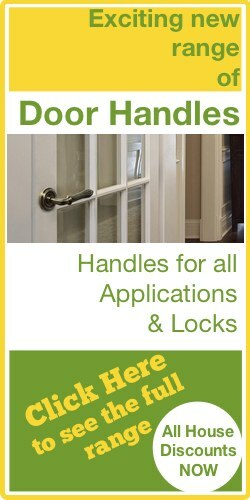 Why choose any other cylinder when LocksOnline EPS High Security Cylinders give you so much at no extra cost. Please note that these are hand-built to order so may take extra time to build (this affects all orders including those choosing express delivery). Hi guys, My names Darrel and Im the head of the tech team here at LocksOnline. 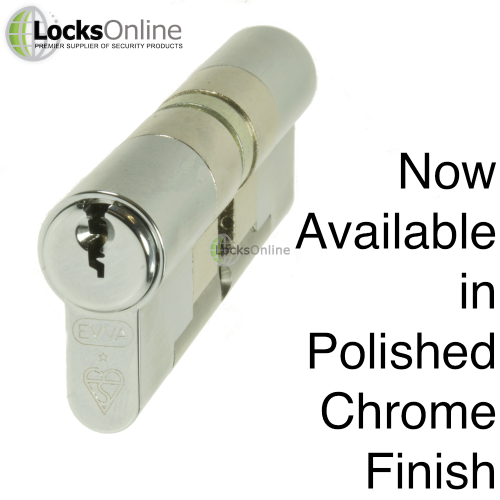 Today we're doing product review videos I wanted to spent a couple of minutes and have a chat with you guys about the evva lockonline range of cylinders we are doing on our website. We have done a lot of article writing about them and how secure they are etc... And that they are patent protected. They comply with EN1303 british standards and so forth so when it comes to cylinders in the pecking order they are quite high up there in regards to security and compared to some. But believe it not there are two different types of EPS and we know because we have seen video of people manipulating and bouncing and picking EPS, but to be honest with you they dont tell you which type they are actually picking. So I wanted to try and explain to all of our customer and future customers that there is actually two different types. The traditional EPS is built on the old DPS and they actually use small pins inside the cylinders and the little pins its exactly the same as any other type of cylinder that is out there these days from the times when linus yale began making pin tumbler locks. What they effectively did is that the pins are sitting there exactly the same as they would in a different make of cylinder. But, there is also a range of eps cylinders that they call modular and a lot of people are not aware of these modular designs, what I wanted to explain was that I must advocate euro. 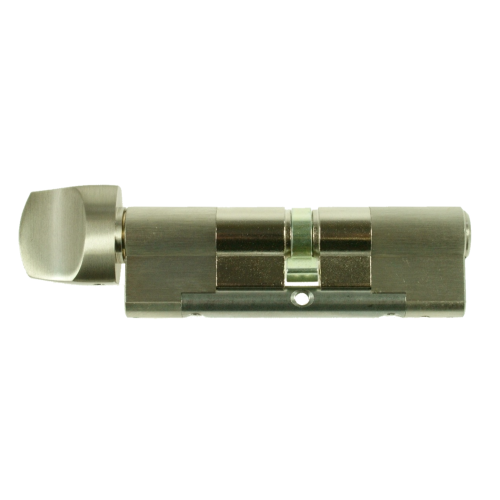 All of our euro cylinders that we sell on our site are actually modular. 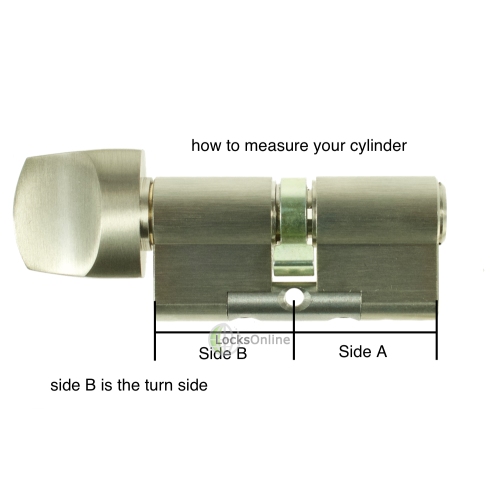 This means that the way the cylinder is built is completely different and it uses technically a detainer style locking mechanism compared to the pin tumbler. Im sure if you did a bit of research on how a pin tumbler cylinder works im sure that you will find out. What I have here (2:11) is a range of different products and some different parts of a cylinder on the bench here. I would like to try and go through them with you. So inside the cylinder there is two critical factors, a pin tumbler system you would have a row of pins here (2:25) and then depending on the shape of the keys those pins would level up to what we call the shear line and that would allow you to turn this (2:32). The difference with these ones though is that they would have pins that actually sit inside the cylinder. Only when the pins are moved up to this level will it allow the sidebar gate to allow the cylinder to work. So the way the cylinder works is that its slightly different and is similar to a chubb detainer in terms of princibles. But what this means is that it is much harder to pick, its much harder to manipulate and its harder to bounce because of the attitude in regards to this shear line pin. One of the things that makes eps different as well is that on the key if we can grab ourselves one (3:25) You will see the side bar indents here. These indents allows this particular sidebar gate to to sit flush inside the chamber so when you turn the key it doesnt interfere with it. So if you dont have the sidebar that fits the profile on your cylinders one, even if you get the cut right on the key it still will not turn. If you take the sidebar and just cut it all out then what will happen is this drop in and snag the cylinder at around 45 degrees. So the security on these you could is pretty good. I mean there are some more secure such as the EVVA MCS which we will talk about another day but for your run of the mill home security these are the boys to have. One of the advantages as well with this type of cylinder is that its patent protected, meaning there is patent protection on the cylinder meaning that nobody can duplicate, or lawfully duplicate it. So you will never find this blank anywhere except locksonline. I will explain that in a bit more detail later. The beauty with a modular system is that Ive got a brass and chrome cylinder, we can actually build these cylinders to suit your application. If I was to take this one here, we can alter the size of this modular depending on the size of your cylinder. If you have a 55 x 55 which is what this is (5:14) then this will be the 55 side. Then you get these solid steel bars that will then sit like that (5:22) in between and this helps to reduce the attack of snapping the cylinder because its made out of solid steel. So theres another benefit in that respect as well. The cylinders as standard will have anti drill pins in the plug to help prevent anyone trying to drill attack as well so what important is to know that there is two different types of EPS. The standard pin tumbler version which has the side bar profile and patent protection and then you have the modular version that has a completely different pinning arrangement built inside. Which is a lot more secure. And of course like I have said we can alter the size of these particular type of bars. 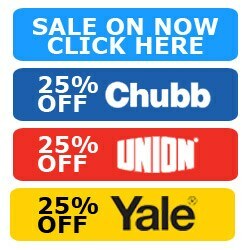 One of the benefits we offer as a company locksonline is that we can actually build these to suit you. Should the cylinder size change in the future because you want to remove it and put it into a different door you can always post us the cylinder back and we can actually change the size of it for you. One thing we do as well is that we register every single key number every time you buy a cylinder from us against your order. So that becomes your unique reference number for your set of keys. So if you wanted extra keys you can order via that reference number. If you wanted an extra cylinder or two or three year down the road and we can key it alike to that reference number. We as a company want to keep your security and key numbers safe so whereas we register this, we will not duplicate this to anyone other than the addressee that originally had it from us. We are quite strict in respect to that. We don't mind also registering the key to any key with protocols you have such as passwords, which will allow you to have a simpler way of getting more keys cut in a secure way. So we as standard will register the key and we won't send them anywhere except the addressee. So if you sell your house and someone else picks this up we can only do is to that address. We do not charge for this service. But we do it as a thank you for coming and buying from us. So of course thats what I wanted to try and emphasize in regards to EPS and in regards to coming to buy from us. One is that we have the totally modular version, two its different in its mechanical set up in respect to the pin tumbler version. 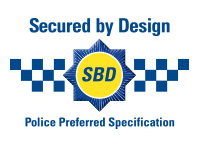 And of course we have the ability to secure your cylinder a little bit more than just the standard ways you expect from other companies. 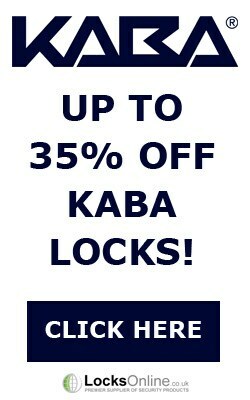 So if you're looking that something a bit extra special consider locksonline EPS as being the solution for better locks on your door. Thank you for taking the time and listening to our video and feel free to browse. If you have got any more questions, pop me over an email, come onto live chat or give us a call. So, my name is Darrel, the head of the tech team, take care and bye for now.